I imagine many other hunters are in the same boat as I. My guild runs 25man raids. We had a drop in attendance and went three weeks without 25man raids. We seem to be back now. 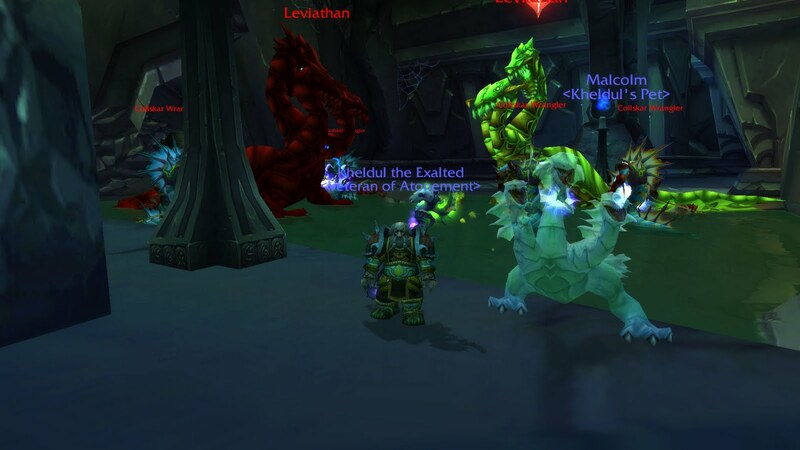 We are 10/12 in ten man raids and 8/12 in 25mans. This means we haven't taken down just Nefarian and Al'Akir in ten man and additionally Ascendant Council and Cho'gall in 25man. Hunters have some difficult raid drops. There is only one epic wrist bracer with a 20% drop rate. One. There is one non-tier mail helm that drops 22% of the time from ... the Ascendant Council combo-boss. There is one non-tier mail shoulder that drops 26% of the time from ... Nefarian. Whee. The bracer issue doesn't get better come 4.1. 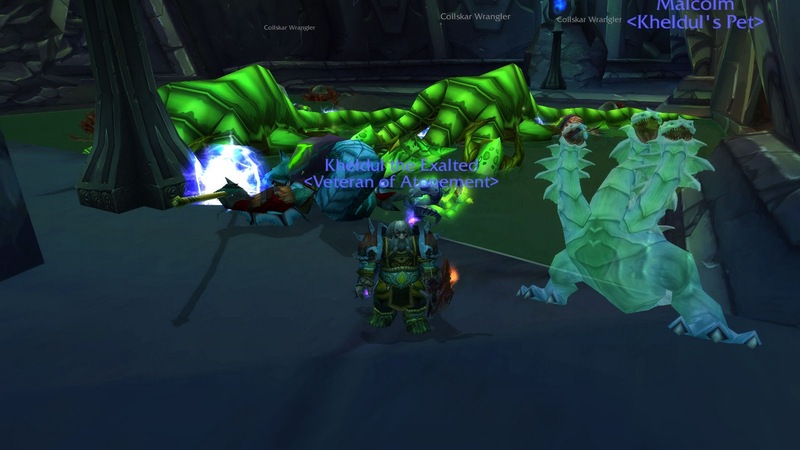 However, the helm and shoulder issue may be alleviated somewhat with the new heroic dungeons. Now, they aren't exactly iLevel 359 items, but the Headdress of Sharpened Vision and Pauldrons of Nalorakk do have two things going for them. 1) They will be obtainable. 2) They won't make you look like King of the Fish-Heads. Bird plumes and bear skins maybe. Hollowed-out Murloc skulls as helms... never. Has anyone found a new wow hunter blog lately? I need a few more. Too many are falling by the way-side. New wands and guns will feature in Zul'Aman and Zul'Gurub. I haven't been able to find anything else on this other than they probably will be item level 353 epic items. That will rock for dwarf hunters. I'd retire my Themios the Darkbringer in a sec for a good gun. The updated version of the Gurubashi Dwarf Destroyer is suckage tank crud: Gurubashi Destroyer.